Pablo is 3 1/2 years old. We were originally told he is a Boxer cross, others thought American Bulldog cross - whatever he is he is a handsome hunk. Pablo has not had much interaction with other dogs but when he sees them at the park he does wag his tail and want to make friends. He has not had any interaction with cats. Pablo has lived with children as young as 5. Pablo does like to keep an eye on the neighbours, so a tall fence is advised as he can jump high enough to see over a 6 foot wall. 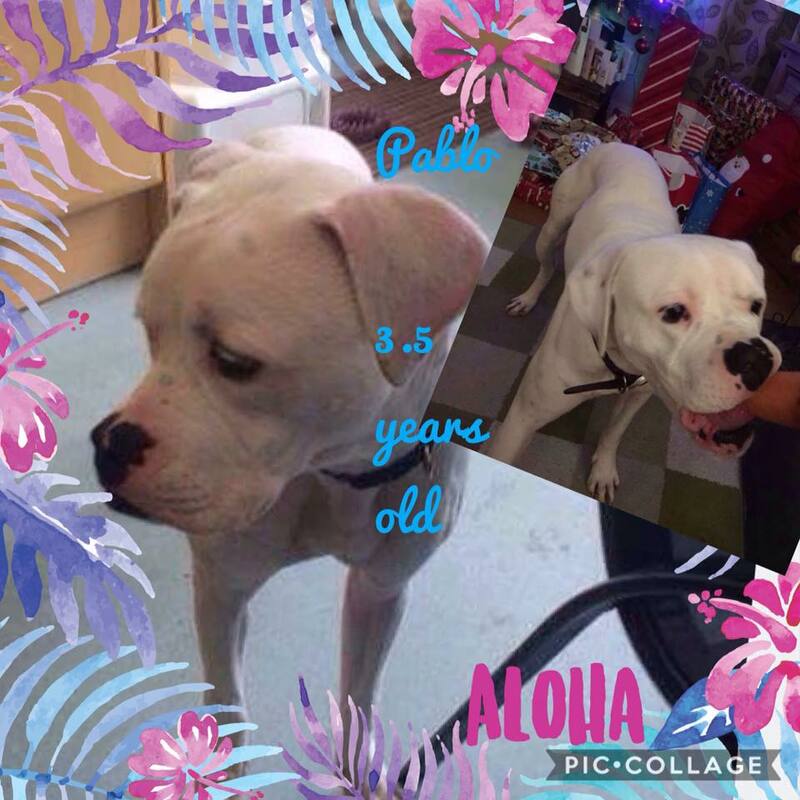 If you are interested in adopting Pablo please contact us . Homecheck and a donation apply.